The March, 2015 connection of the Hokuriku Shinkansen bullet train to Toyama City put the prefectural capital just two-and-a-half hours away from Tokyo, offering easier-than-ever access to Toyama Prefecture's premier tourist spot. 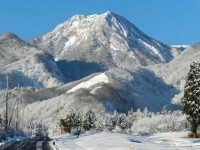 The Tateyama Kurobe Alpine Route winds across the Hida Mountains (also called the Northern Alps) between Toyama Prefecture and Nagano. Along this trail lie virgin forests with massive trees 1,000 years old; a vast wetland region 6,500 feet above sea level; Shomyo Falls, Japan's tallest waterfall at 1,148 feet; Jigokudani, a valley emitting plumes of volcanic gas and vapor; and Japan's only glacier formation. Located at 8,038 feet above sea level, the largest waypoint on the trail is Murodo Plain, where a towering wall of snow is formed every spring. 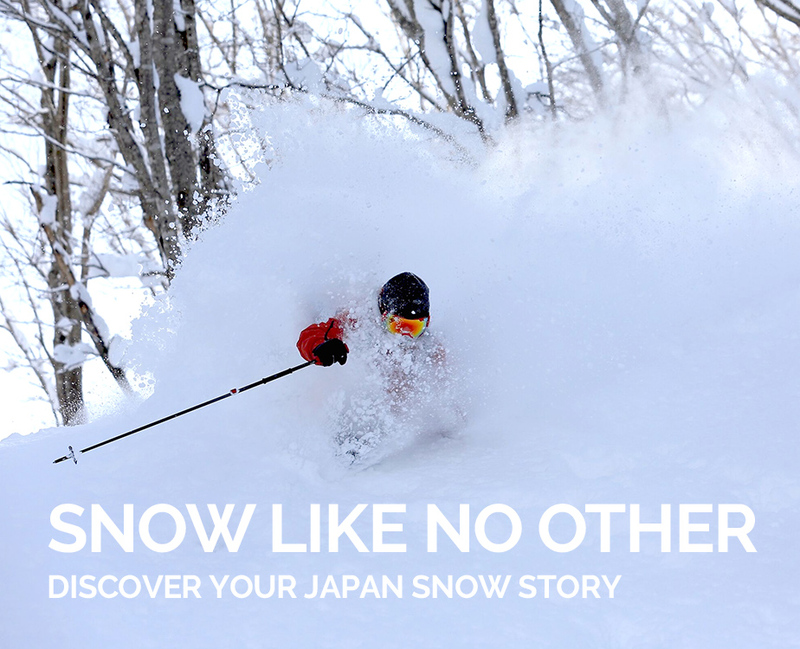 Murodo Plain receives some of the heaviest snowfall on the planet, with accumulations reaching as high as 66 feet - equivalent to a seven-story building. 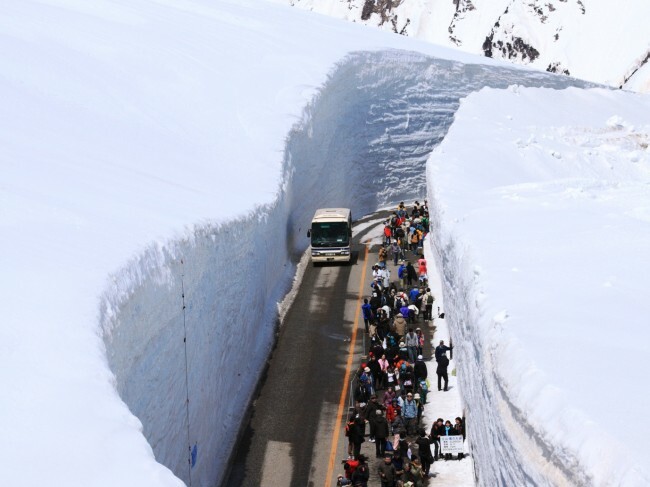 Come spring, GPS-equipped, 30-ton snow cutters - affectionately dubbed Kumataro and Kuma-o - painstakingly carve through the accumulation so buses can ply the route. This creates two towering walls on either side of the road, a phenomenon known as the Snow Wall, or Yuki-no-Otani. A 550-yard course runs between the highest section of the walls, which can be strolled on foot or traversed by bus. 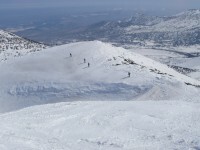 Enjoy the stunning view after the road is opened mid-April. 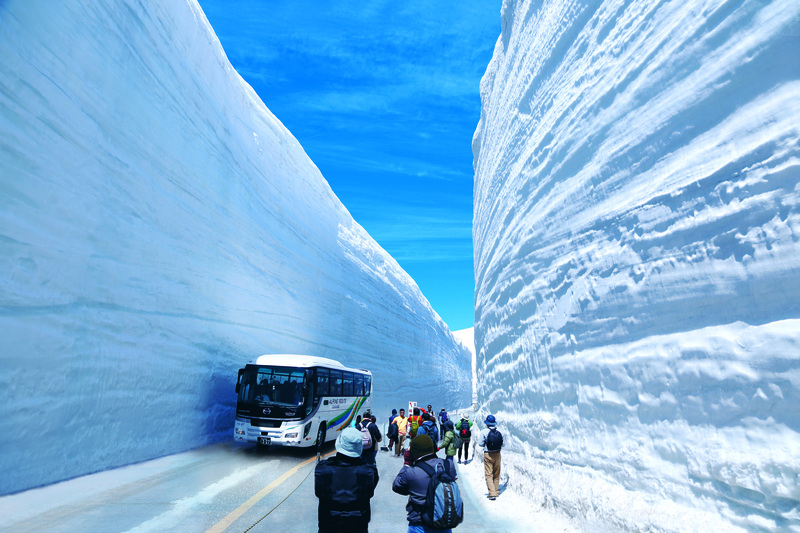 In addition to the wall itself, guests can peer out across the Hida Mountains from Panorama Road, carve notes into the snow wall in a dedicated message area, see an exhibition of the route's famous snow cutter, and take part in a number of special events stretching into June. A snow labyrinth built out of the vast snowfall is accessible in May, while a giant snow slide will delight the whole family in June. How late does the season run? For 2014, the highest point on the walls stood at 49 feet on April 20, 43 feet on May 20 and 33 feet (still equivalent to a three-story building) as late as June 20. Visitors should be conscious of the weather: The average temperature on Murodo Plain in the latter half of April is just 36 degrees Fahrenheit at 3:00 in the afternoon. By mid-May it rises to 45 degrees, but it's still just 54 degrees on average at the end of June. 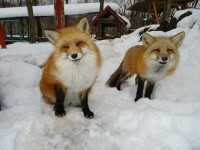 Be sure to dress warmly and bring appropriate footwear. 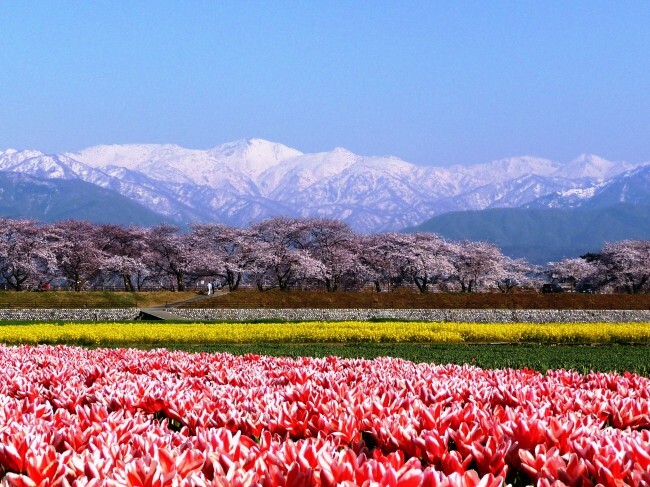 Visitors to Toyama can enjoy a spectacular view of blooming cherry trees framed by the snow-covered Japanese Alps above and vast tulip fields below. A stretch of 250 cherry trees lies along the Funakawa River in the town of Asahi, where a local tulip farmer raises his flowers so they bloom in concert with the cherry blossoms. A taxi from Tomari Station on the Ainokaze Toyama Railway takes about 10 minutes to get to the Funakawa River. The greater area also offers delicious seafood from Toyama Bay, including red queen crab and firefly squid, both of which go well with Japanese saké - especially the locally brewed Kurobekyo, Hokuyo, Maboroshi-no-Taki, Ginban, Chiyozuru and Shiromidori varieties.